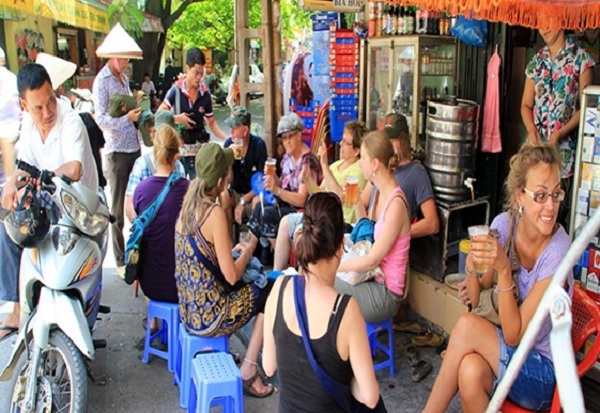 Accommodation: Hostels in Vietnam ranges from 130,000 VND to more per night. For private double rooms, you have to pay about 390,000 VND each night. While in the past, hostels were pretty rare, recently, they have become more popular all over the country to make it easier for accommodation of budget travelers. Another popular budget option is “Homestays”. Food: If you want to find a place to eat Vietnam famous dish at reasonable price, street stalls and markets, where you can order a hot bowl of pho or a rice dish at ten thousands VND, are the best choices. Vietnamese street food is normally stunning, at quite cheap price and you can watch the vendors make it right in front of you. Stick to the local food helps you to save more money. 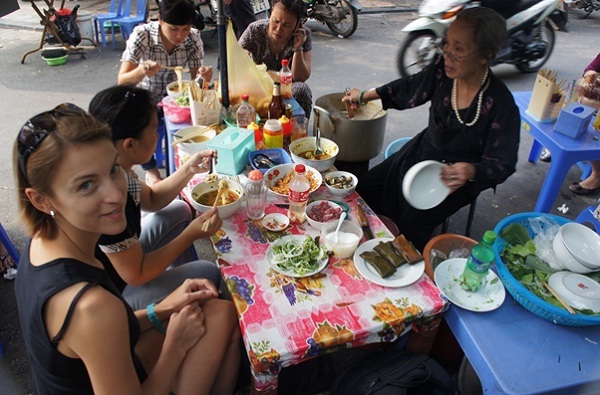 The street-side pho, Vietnamese style bread, donuts, and bananas are your best selection, all of which can be bought around 20,000 VND along the streets. At restaurants, each dish costs you around 40,000–90,000 VND. The fancier and the more famous the restaurant is, the more it costs you. Transportation: In Vietnam, traveling by bus is very cheap. 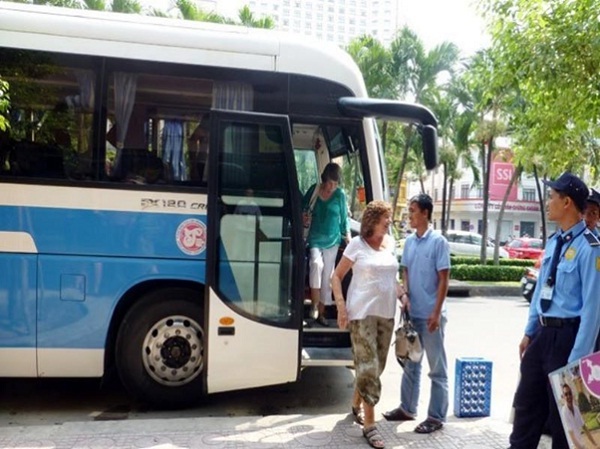 For instance, it will cost a maximum of 5,000 VND to use the public bus to travel around Ho Chi Minh City. Another inexpensive way is using train is also to travel with the long train journey. Activities: Most of tourist attractions in Vietnam are combined with its natural beauty and therefore, cost you very little. You can expect to pay between 100,000–200,000 VND to join in these organized excursions such as touring the Cu Chi Tunnels and 650,000 VND for two-day trips and increase exponentially from there to join in Halong Bay tours from Hanoi. Late-night travel: If you have to travel long journeys, take the late night “sleeper” buses or trains, which help you save the cost of a night’s accommodation, is a perfect choice. Basing on the bus company, you may luckily have an opportunity to conveniently lie flat when riding through the dark countryside to your next destination. Bargain hard: You should remember that travelers are often charged more than locals for all services from cycles (a three-wheel bicycle taxi) to street food and clothes. Try your best to bargain hard and don’t forget the meaning of walking away.